One can say that the third iPod model acted as a catalyst to transform the iPod from being a MP3 music player into becoming an icon. This new version, the fourth generation, was designed to attract new customers rather than old ones wanting to upgrade. July 19, 2004 Apple released the fourth generation iPod. This iPod was a mix of the third generation iPod and the first generation Mini. The form factor was same as the previous model, but the controls were taken from the mini. The prices on each model were dropped $100, but this time Apple didn’t include any cases or the remote. The 40GB model was shipped with a dock. The case and the remote could be bought separately for $39 each. The iPod came in two different sizes, 20GB for $299 and 40GB for $399. They begun shipping July 20. In the end of 2004 Apple had shipped six million iPods. The sleeve had the now famous silhouettes from ad company TBWA/ Chiat/ Day on two sides and the color scheme was very bright colors. The size of the box was the same as third generation iPod. The new version iPod offered better battery life and small changes to the user interface. August 27, 2004 Hewlett-Packard announces the iPod+HP version. 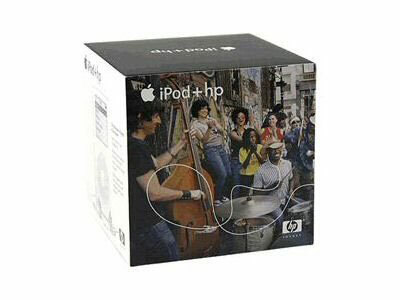 This was a repacked fourth generation iPod, sold by HP with HP support and only for windows customers. HP also announces a special printer with special printable tattoos to cover the iPod. October 26, 2004 Apple debuts iPod Photo capable of displaying photos and album art on its new color screen. It was sold in 40GB ($499) and 60GB ($599) capacities and was physically identical with the previous version. It was also shipped with an A/V cable and an iPod photo dock. In November 16 the name was changed from capitalized Photo to lowercase photo. At the same time a Special Edition U2 iPod was announced. It was designed with a black front and a red click wheel to match the coming U2 studio album “How to dismantle an Atomic Bomb” released November 24. The band members autographs were etched to the iPods polished steel back side. Bono and the Edge attended the unveiling and performed the first track “Vertigo” from the new album. The iPod had a 20GB hard drive and was sold for $349. 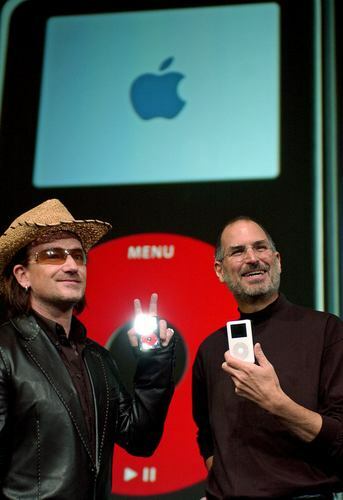 The first U2 iPods were shipped from Apple November 16. February 23, 2005 the 40GB photo model was discontinued and replaced with a 30GB photo ($349). This iPod was shipped in the new small box and had only documents and CD, earbuds, ac adapter and usb 2.0 cable in the box. 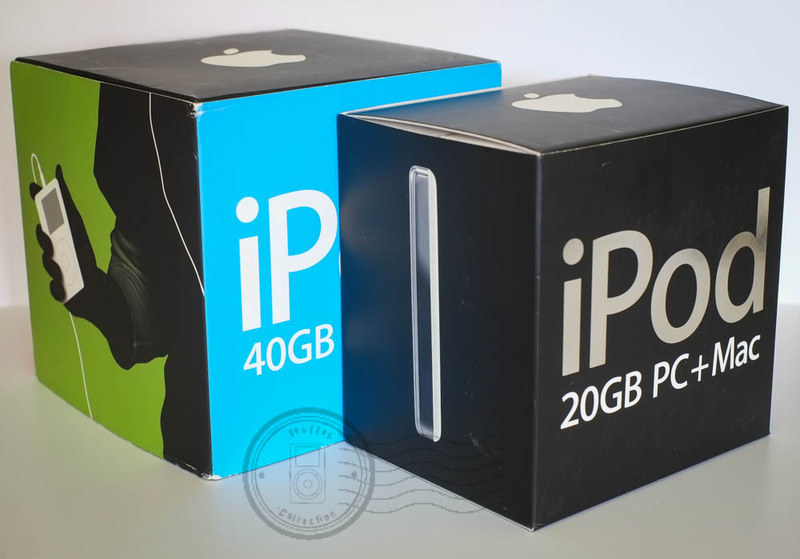 The original iPod was also shipped in this small box, only the 60GB iPod photo had the old bigger box and all accessories inside. 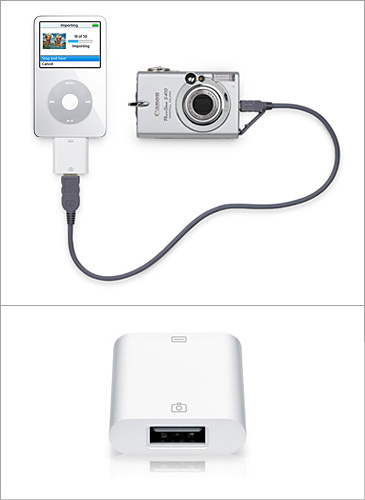 Late March Apple released a small device called iPod Camera Connector, which made it possible to connect cameras directly to the iPod. The small device costed $29. In June 28, 2005 Apple made the last update to their fourth generation iPods, both the regular model and the U2 Special Edition. Two regular models were released, 20GB at $299 and 60GB at $399. Both had color screens and could show both photos and album art. The U2 Special Edition was still 20GB but the price was reduced to $329. This entry was posted in 4th Gen and tagged 4G, Apple, Classic, Collector, iPod, Original by Martin. Bookmark the permalink.